［Release date］Jan. 26, 2017 THU. ［Final update］Jan. 26, 2017 THU. Sky through the train at JR Kyobashi Station, OSAKA. 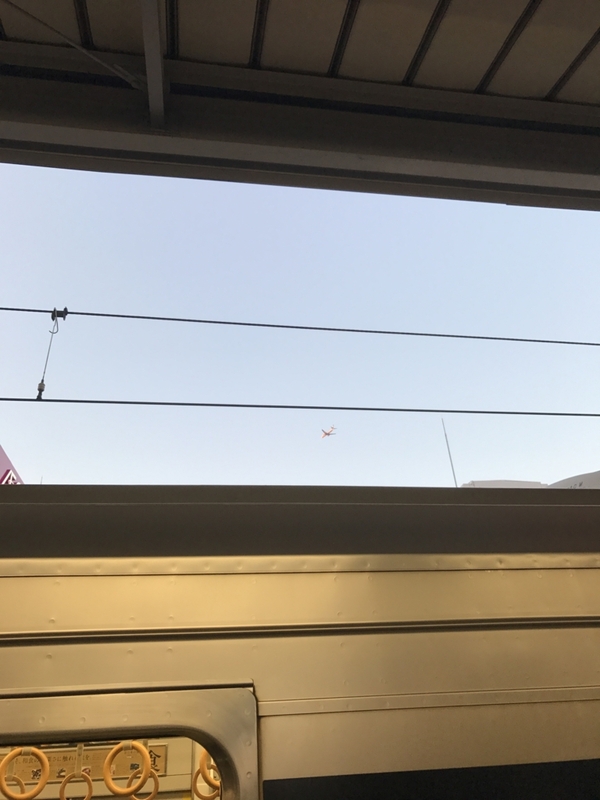 Above the train, you can see the airplain going down to ITAMI, OSAKA airport with getting sunset. ANA and snow queen.